An API that cleans and categorizes bank and credit card transaction data for financial technology applications. While building Partake, a financial app for couples that syncs with your banks and credit cards similar to Mint.com, we realized that many of the transactions coming in were difficult to understand. Transaction names are so confusing that it is even hard for the account holder to remember what these mean. 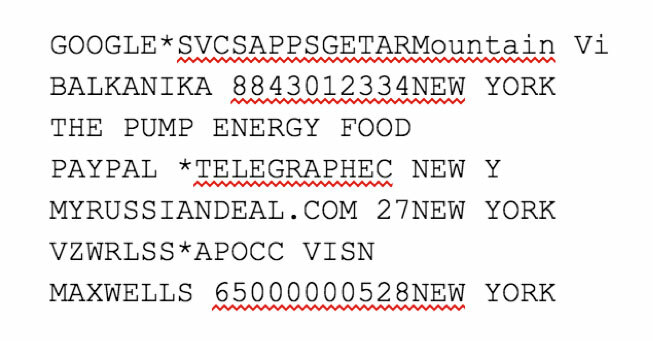 Because of this, our users had trouble identifying what these transactions were for. Some of the transactions came categorized but oftentimes the categories were incorrect or too broad to be helpful. 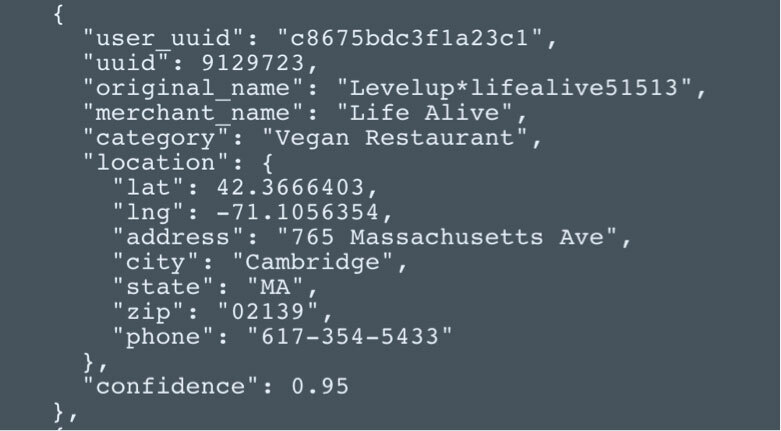 After finding out companies similar to Mint had this same issue, we decided to build an API that would clean the messy business name, correctly categorize the transaction, and add location data whenever applicable. Finhance processes the messy transaction data and outputs cleaned, categorized and highly enriched data. This was one of our most interesting backend endeavors to date and we are excited to take on future work in the financial technology space.